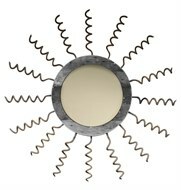 The Shard Night Mirror is an original design by Joann Westwater. 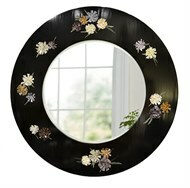 Night is shown in a scraped black lacquer finish with an assortment of stained glass flowers in elegant colors. 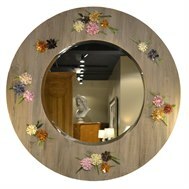 It can be made in any size or shape, and the glass can be custom done to tie perfectly into your interior.